When choosing your helmet for your tree care gear setup you should consider a range of factors. The best helmet choices for arborists will include helmets that are designed for working in vertical positions that feature a four-point chin strap. Other features to look for are helmet type, adjustable inserts, sweatbands, and ear muff slots. There are two types of helmets (type 1 and type 2) classified by ANSI Z89.1-2014 for different levels of protection. Type 1 helmets are designed to only take a blow directly to the top of the head. Type 2 helmets have been designed to reduce force from lateral impact such as an off-center and/or side impact, in addition to top impacts. These helmets have visible padding on the sides. There are 3 classes (C, E, & G) that specify electrical protection. Class C helmets are considered conductive and do not provide any electrical protection, these are typically vented and only protect workers from an impact. Class E hard hats offer protection from high voltage conductors up to 20,000 volts, and cannot have any vents in the design. Lastly, Class G offers protection from low voltage conductors up to 2,200 volts, they must also be free of holes for ventilation. Need help finding the perfect helmet? 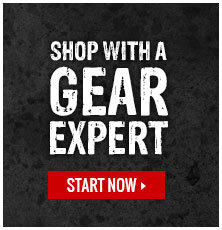 Check in with one of our Gear Experts® [insert link here].